Shark combines safety with pleasure. 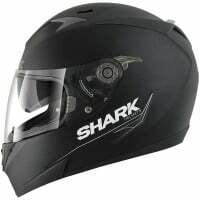 Leave restrictions behind with this cleanly designed and thoughtfully ergonomic helmet. Check out the broad and attractive range, filled with technology and rewarded by prizes from the international press. The S900 benefits from the new development process thanks to F.E.A. (finished elements analysis). This method is taken from the automotive industry runs with virtual crash tests. Real crash tests come later to complete and reinforce the safety procedure that Shark imperatively leads. The design department put maximum passion and creativity in the S900. The result? A helmet unlike any other!